A consultation is required for lips at least two weeks before your desired appointment date. This gives us time to customize your desired lip color. We order custom lip colors per client. From the moment, you leave the salon, and over the next 5-7 days, your lips may be puffy and sensitive. Your lips will feel very thick and EXTREMELY DARK, this is normal. Lips may appear dry, flaky or crusty for 1 week. Lips may be prone to dryness and swelling and may crack easily for up to one week. Avoid oily, salty, spicy, and acidic foods as well as alcohol while healing. If possible brush your teeth with plain water for the first 72 hours to avoid irritation and loss of color. Do NOT use whitening toothpaste during the healing phase to avoid bleaching and discoloring of the lip color. Aftercare ointment (A&D) will be given to you the day of your appointment. No other ointments should be used as some contain antibiotics and/or alcohol that tend to pull color out of the treated area. Always use a clean Q-tip to apply ointment and never your fingers. Apply after care ointment every couple of hours. Only a thin layer of ointment is needed; do not wipe off previous ointment simply apply new ointment on top. 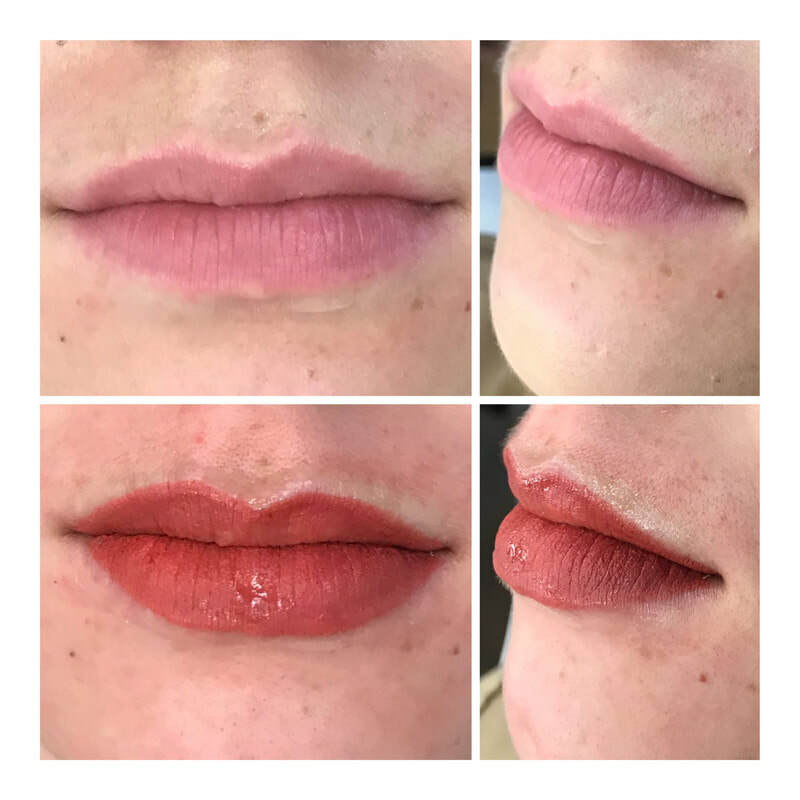 Do NOT let your lips dry out the first 5 days! 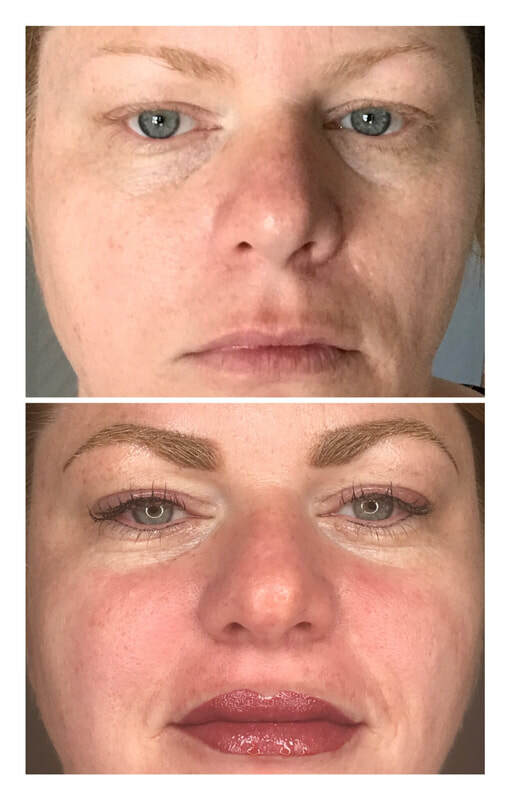 The moment the lips dry out the skin will start to push out the pigment. Do NOT disturb the "scab" over the tattoo. Let it come off at its own pace, otherwise color could be lost. Do NOT bite or lick your lips! If you see extreme redness and swelling this could be a possible allergic reaction. Lightly wipe off A&D ointment and use a pure oil such as vitamin e, castor oil, or coconut oil. If you see prolonged redness, swelling, and puss this is signs of an infection. Please call your doctor as well as notify me. If swimming, do NOT put your face in the pool water for 2 weeks. Avoid Jacuzzi & Sauna for 2 weeks. You may use an icepack with a clean barrier such as gauze for 15 minutes on 15 minutes off. Using a bag of peas or corn, something that is not so heavy or dense is recommended. Cold sores may occur after lip procedures in individuals prone to this problem. This can cause loss of color in affected area. You may take over the counter (or prescribed) medications to avoid this. Continued use of Chapstick with an SPF of 30+ is recommended after healing to help maintain color from fading.